Truth be told I find it challenging to have an efficient GOOD morning without running out of time for breakfast and doing my hair. On the days I actually blow dry my locks and make something healthy for breakfast I feel like a million bucks and always end up committing to do better. Lately I have been doing better in the breakfast department (my hair hasn’t fared as well) thanks to my Gift from the Gods VitaMix for green smoothies and heart-healthy tummy-filling homemade cereal. Those are all technical medical terms, btw. This is not your grocery aisle boxed cereal. And you will be glad you made the switch when you give up the processed and sugary crap and start your day with something that will keep you full, give you wonderful nutritional benefits and you can play with to accommodate your own personal tastes. 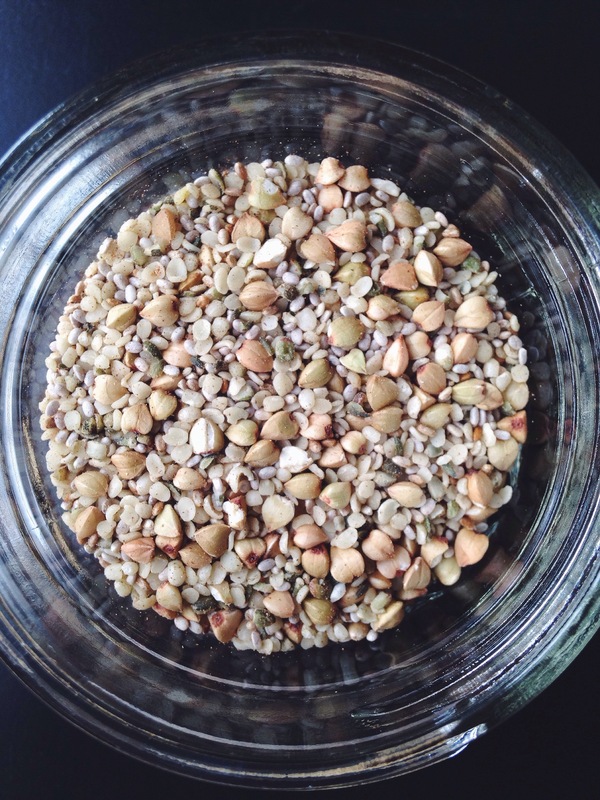 The base of this cereal is only three ingredients: buckwheat groats, chia seeds and hemp seeds. All three can be found in the bulk section at most health food stores and all three are also jam packed with protein, fiber and good fats. Also, buckwheat, contrary to what it’s name suggests does not contain wheat and is gluten free. 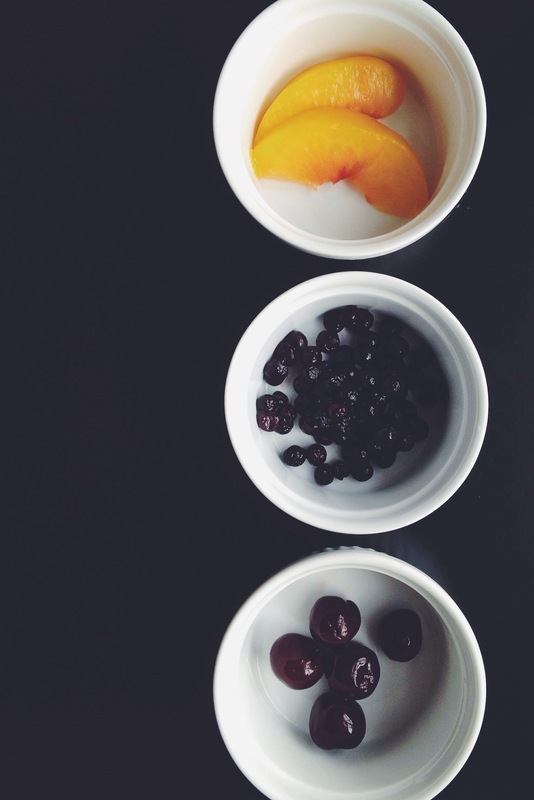 Check out the recipe at the Honest Company’s blog and then experiment with your favorite combinations. 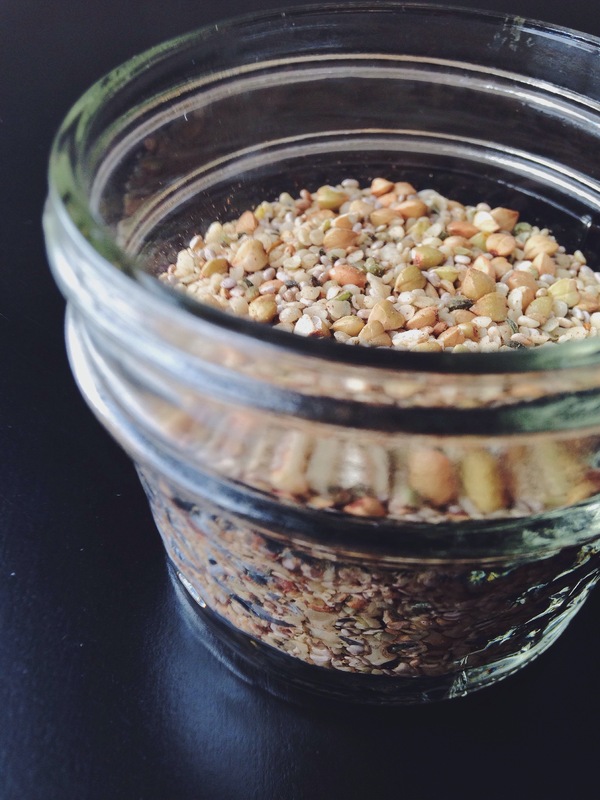 Mix the hemp, chia, and the buckwheat seeds together in a sealed glass container. You can store this for months. 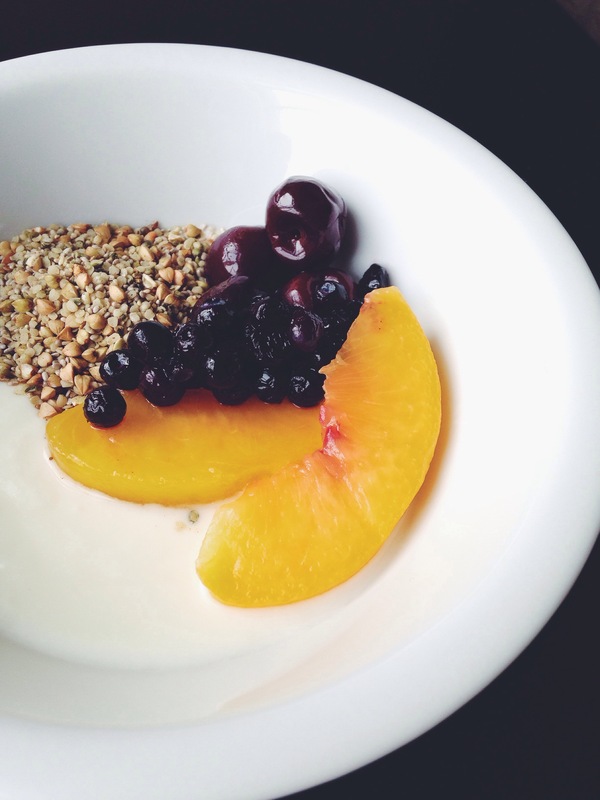 What are your quick and easy breakfast staples? This is SO good; great alternative to boxed cereal. Definitely sticks with you longer throughout the morning! Thank you for sharing our recipe! We’re glad it inspired a good start to the day. Thank YOU for the recipe and all the wonderful products, they are the only thing we use in our home.